I love those early spring days waking up at dawn to watch the sunrise from my porch with a steaming coconut Chai Latte and smelling spring time on the mountain air. It’s almost as Sriracha Candied Bacon Jerky! We may be in the midst of a terrible drought here in Southern California but for some reason these mountains are just full of meadows of wildflowers. 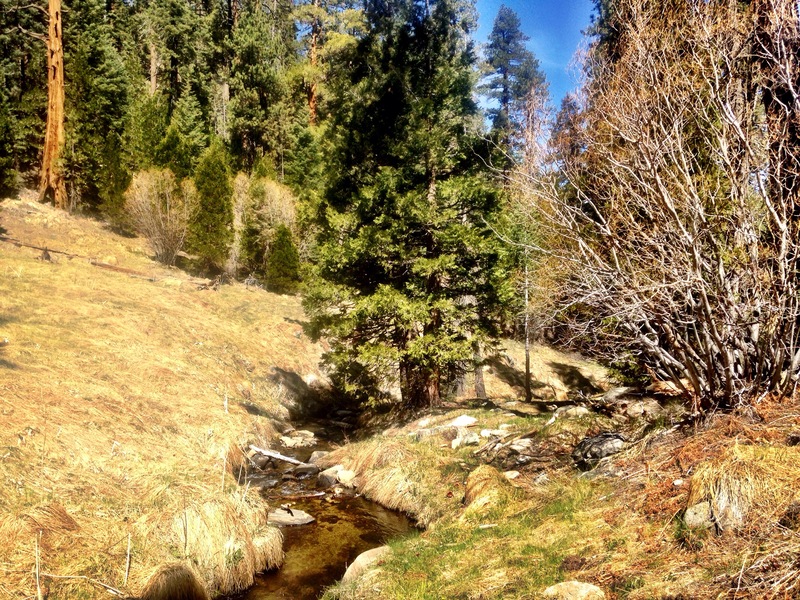 Some days when I’m out walking the trails with the pup I can almost think for moments that I am in the Sierra Nevada’s. 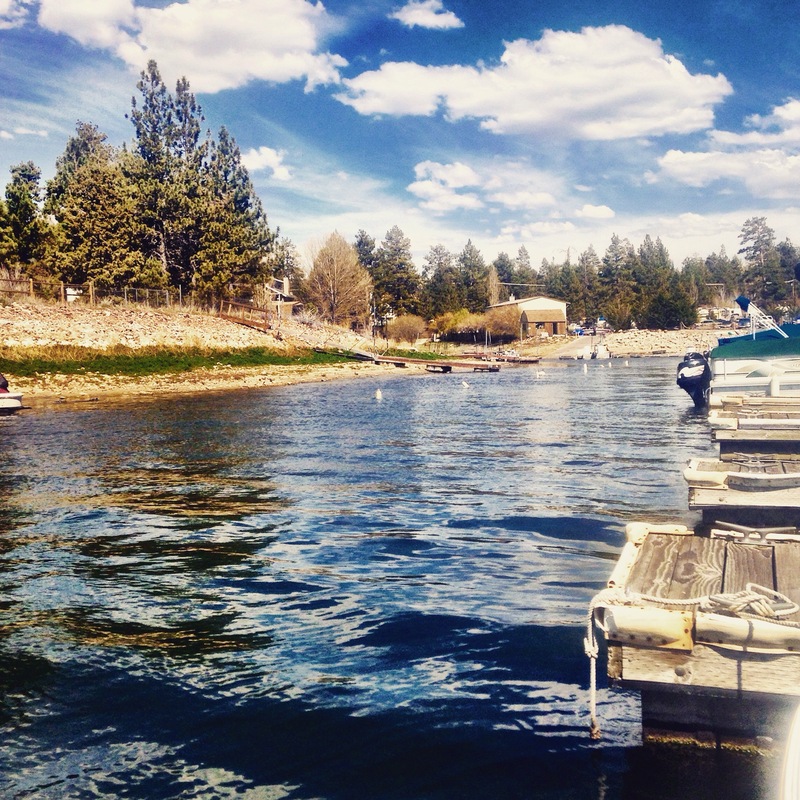 Spring time for me means days when we put the boat on the lake and the dreams of hot summer days and Agave Skinny Margaritas enjoyed in the sunshine on Big Bear Lake. It has been just so gorgeous up here the last few days it’s hard not to fantasize about those long hot summer days. Spring time also means the first Saturday in May and watching ridiculously expensive Thoroughbred race horses competing in the Triple Crown back in Kentucky. My boyfriend and I are kicking tradition to the curb and not doing anything bluegrass inspired for the derby feast like Derby Pie or Mint julep. 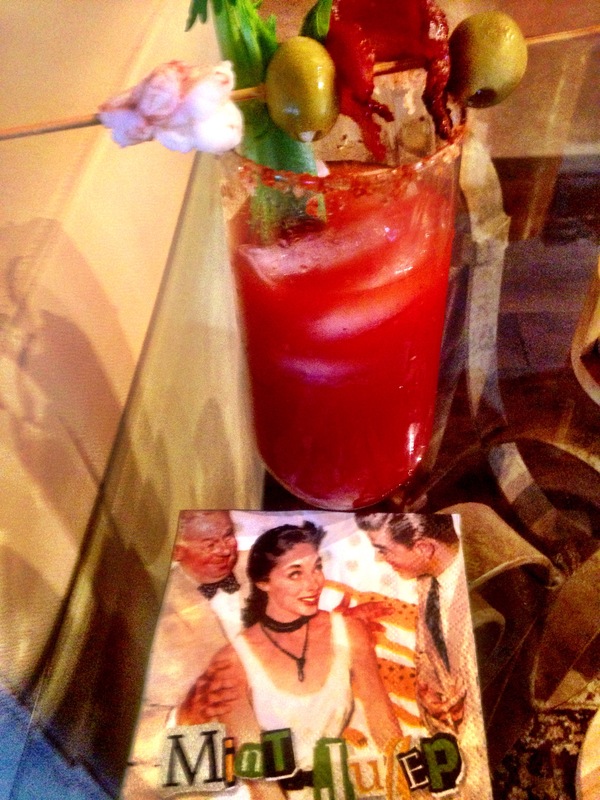 Trader Joe’s) cocktail, Sriracha Candied Bacon, garlic stuffed olives and, yes, celery of course. 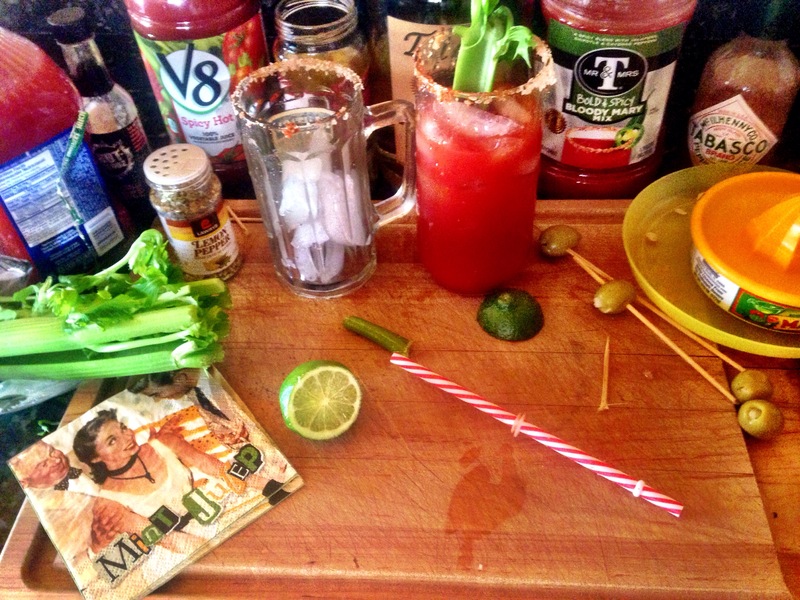 Of course what goes great with spicy breakfast Bloody Marys? BBQ Sauce Glazed Bacon Wrapped Stuffed Jalapenos of course! If we don’t have indigestion by the time they run the eleventh race, the Kentucky Derby, than we will have a great derby day and maybe, just maybe win a little money. 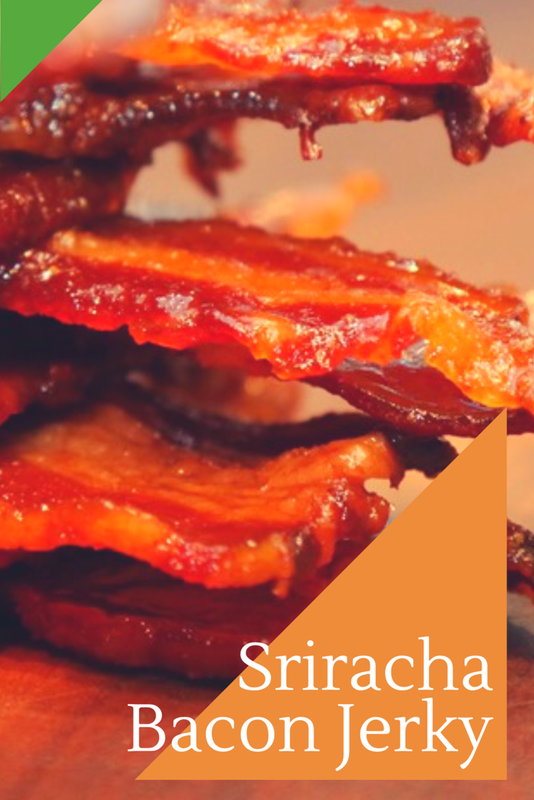 But that kind of sounds like I’m making cat jerky and I live in the rural mountains but still, kitties are for loving not makin’ jerky of… Anyways, now here is a recipe for my phenomenal Sriracha Bacon Jerky. Combine the sweet Sriracha sauce ingredients., all the ingredients but the bacon. In a large skillet place the slices of bacon. Cook the bacon on one side. Move it to an oven safe dish. The uncooked side of bacon should be facing up. Using a pastry brush, brush the raw side of the bacon with the sweet Sriracha Sauce. Put in the broiler for 2-4 minutes until the bacon is cooked to your desire of crispness and candied. Watch the bacon very closely so it does not burn. I really don’t think I would be able to do this. I am soooooooo sensitive to spicy – however I could see why a lot might like this. You get the sweet, the salty, the fatty, and the crrisssppy!! I just pinned this awesome recipe! Hope you are having a fantastic week and thanks so much for sharing with us at Full Plate Thursday. We will look forward to seeing you again real soon!